On Friday, February 3rd 2017, ABC members were treated to an unforgettable experience complements of Terrance Johnson, CEO of TCJ AeroTech at the First Friday Leadership Forum. 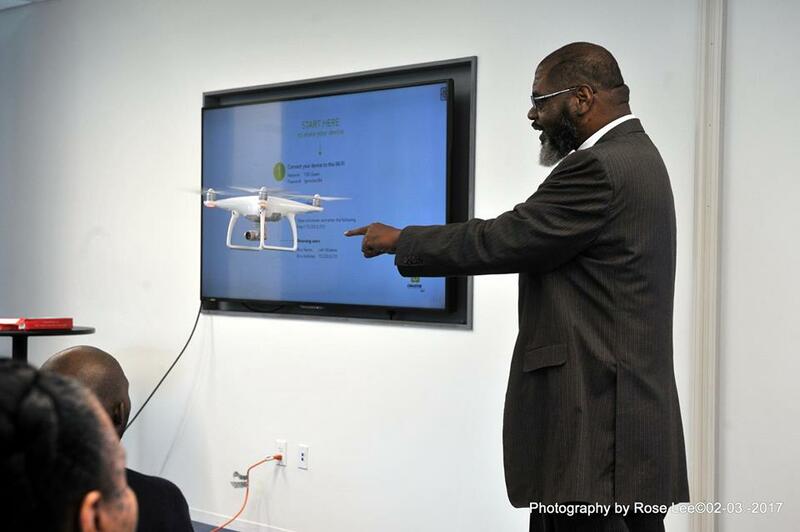 TCJ AeroTech is the only black owned Drone company in the state of Georgia. We would like to give a special thanks to Chief Operating Officer, Colin J. Anderson for a fascinating Drone demonstration. It was the perfect way to close a great meeting. Join us every First Friday from 11:00am-1:00pm at the Gathering Spot’s for the ABC First Friday Forum. About FIRST FRIDAY FORUMS FIRST FRIDAY LEADERSHIP FORUMS provide exclusive opportunities for AMBCC entrepreneurs and professionals to mastermind and share their expertise, resources and best practices for identifying and pursuing opportunities within the Trillion Dollar Marketplace.